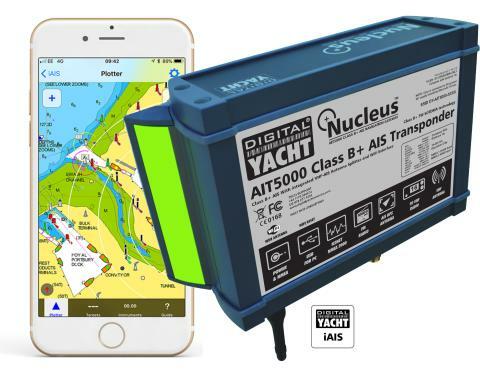 Digital Yacht will introduce a new range of Class B+ AIS transponders at Boot 2019 now approved for use on German flagged vessels. Class B+, a new AIS standard, utilises SOTDMA format transmissions which offer a 5W power output (2.5x more powerful than a regular Class B), a guaranteed time slot for transmission in busy traffic areas and faster update rates depending upon the speed of the vessel. 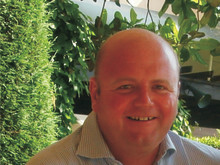 It offers performance similar to Class A transponder but for non mandated users. This new standard is ideal for ocean sailors requiring the best possible performance and future proof satellite tracking applications, fast power boats and smaller non-mandated commercial vessels. It still inter-operates with existing Class A and Class B systems. The new Digital Yacht AIT2500 is a full function transponder with NMEA 0183, NMEA 2000 and USB data outputs. It ships with a GPS antenna and requires connection to a VHF antenna or suitable VHF-AIS antenna splitter. It's designed to integrate with all the leading brands of plotters and MFDs. The AIT5000 incorporates a patented ZeroLoss VHF-AIS antenna splitter allowing the main VHF antenna to be shared with VHF and AIS as well as a wireless interface for connecting to iPads and tablets. Digital Yacht's new iAIS app is now Navionics enabled too allowing AIS targets to be overlaid onto the popular Navionics iPhone and iPad charting.Digital Yacht will be exhibiting at Boot 2019 in Dusseldorf, 19th-27th January. 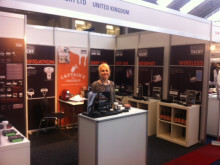 You can find us in Hall 11, Stand C01. We'll have our complete line up of new AIS products on display including the award winning Nomad portable Class B and new AIT2500/5000 SOTDMA based transponders. Both models have the option of an AIS SART alarm which is great for use with personal AIS MOB devices. 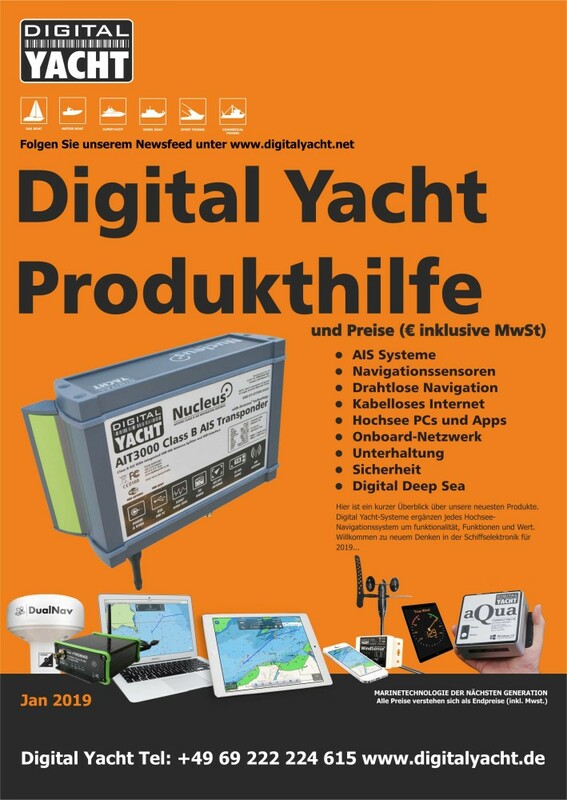 DIGITAL YACHT 2019 IS ALL ABOUT NEXT GENERATION NAVIGATION, COMMUNICATION AND ENTERTAINMENT SYSTEMS FOR YOUR BOAT. BOATING SHOULD BE FUN, SAFE AND EASY AND OUR PRODUCTS INTEGRATE INTO EXISTING AND NEW BOAT NETWORKS TO BRING A POWERFUL DIMENSION TO YOUR ON-BOARD ELECTRONICS.